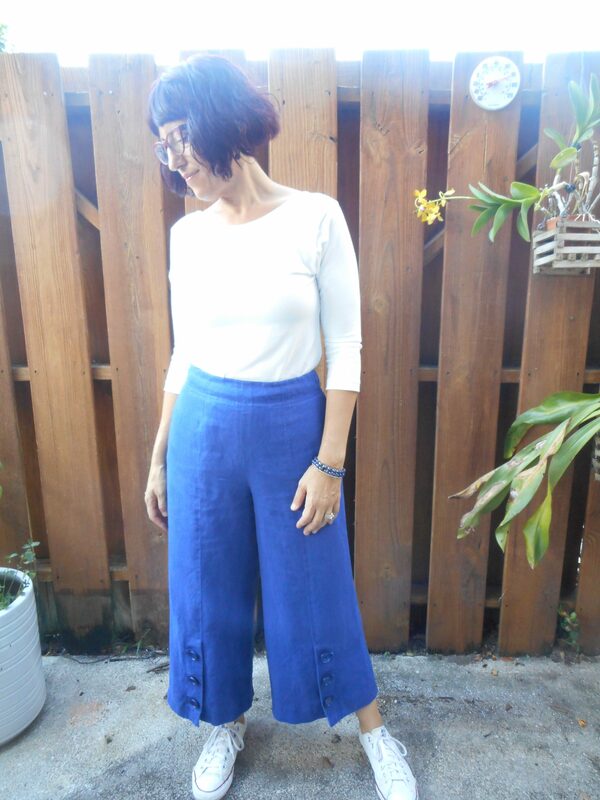 One of my fav things to sew is pants. I love being able to make just the style and color I want and being able to perfect the fit. 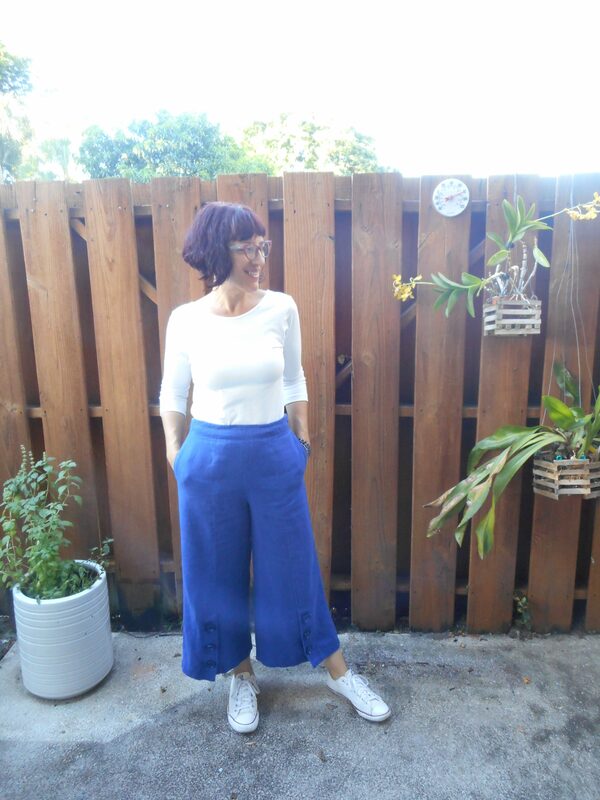 My cream culottes have been my go to comfort wear this summer so a fall version was in order. 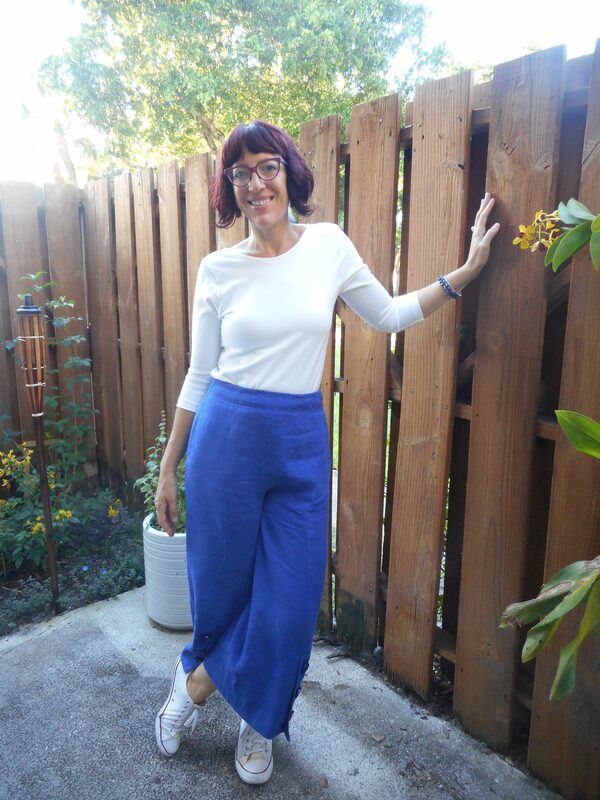 Fall in Florida of course means it’s still in the 80’s everyday so I went with a midweight linen in a fall friendly royal blue from Blackbird Fabrics. I wanted to add a bit of interest and went with this awesome button front detail from Vogue Patterns. The pattern is Very Easy Vogue V9282, which I don’t know I would say is easy, especially with that front panel tab. I’d say this one is more intermediate. The design includes two lengths and button placement designs. 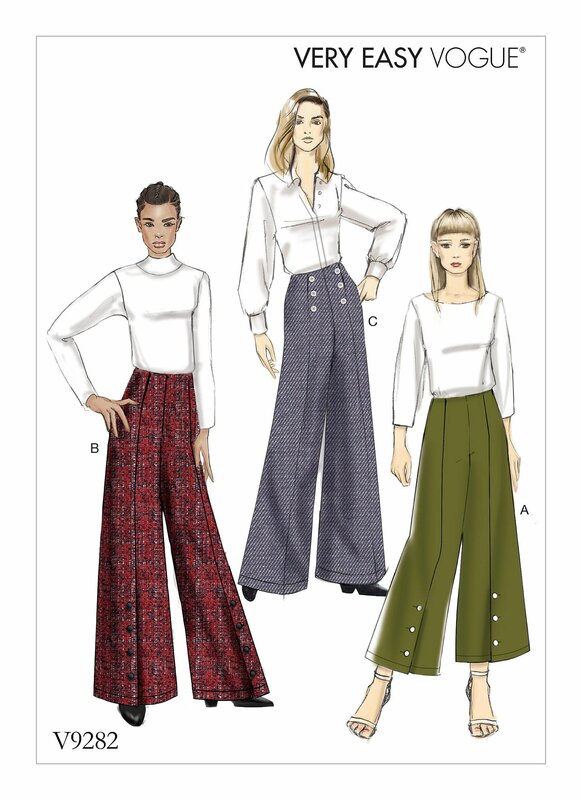 This pair has the opening CF at the bottom but I’m also planning to make the full length pant version with the buttons at the waist. I made View A in a size 12 (the size I always make in Vogue) and the fit was spot on. Based on the envelope I’d be a 14 graded to a 16 at the hips but I always size down since the patterns have a lot of ease. The only adjustment I needed was taking an inch out of the back waist. 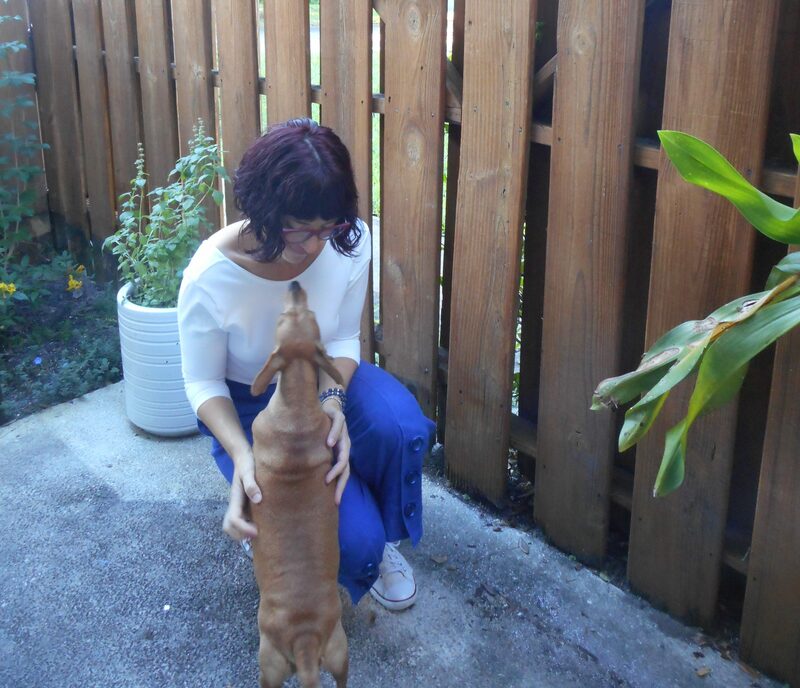 Having a pet is the best weight loss tool ever. I’ve lost more weight with my increased walking then I did exercising 3x a week pre-summer. 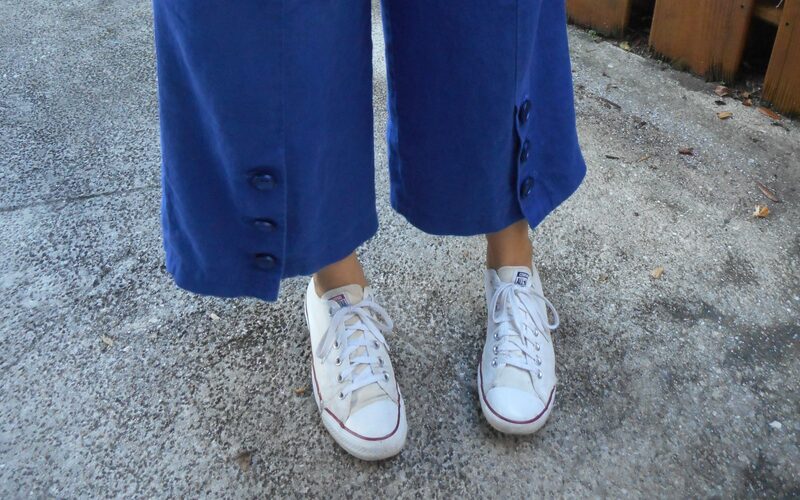 Of course I also had to add some pockets. 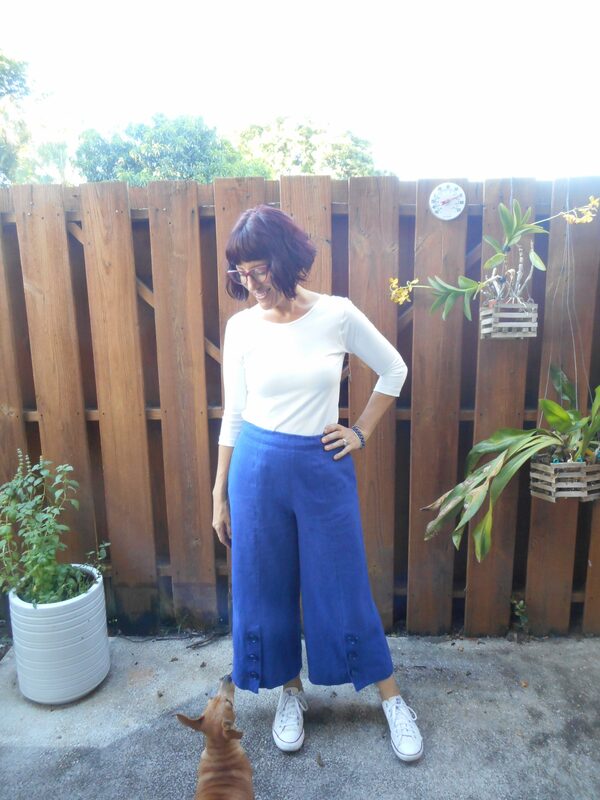 I added a pair in the main fabric and then created a second seam at the waist to keep them set in the front. Next time I would use a lining fabric instead to reduce bulk but these will do. I also made the white 3/4 sleeve top. I had just enough left over out of the white stretch jersey from Organic Cottons Plus to whip this up. 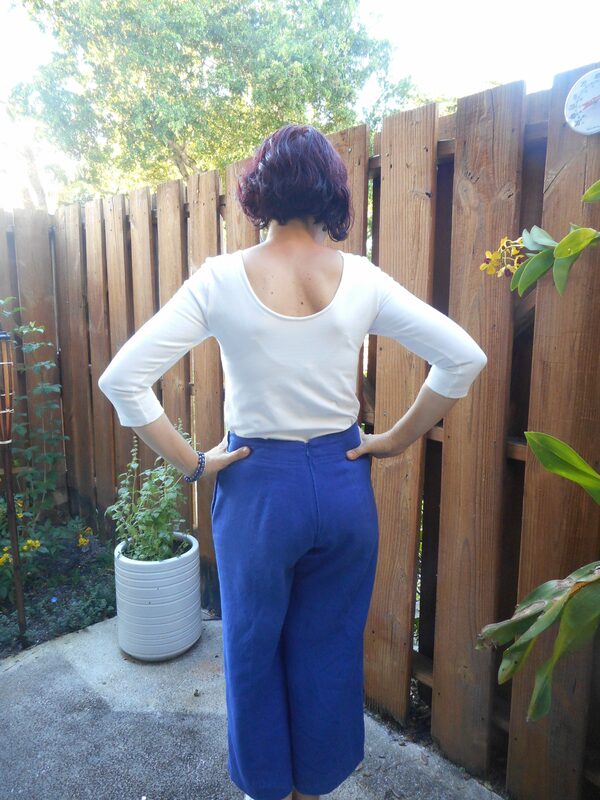 It’s self drafted for a high front neckline and low back. These are also another make done for my Make 9 2018! 3 completely done and one almost complete. 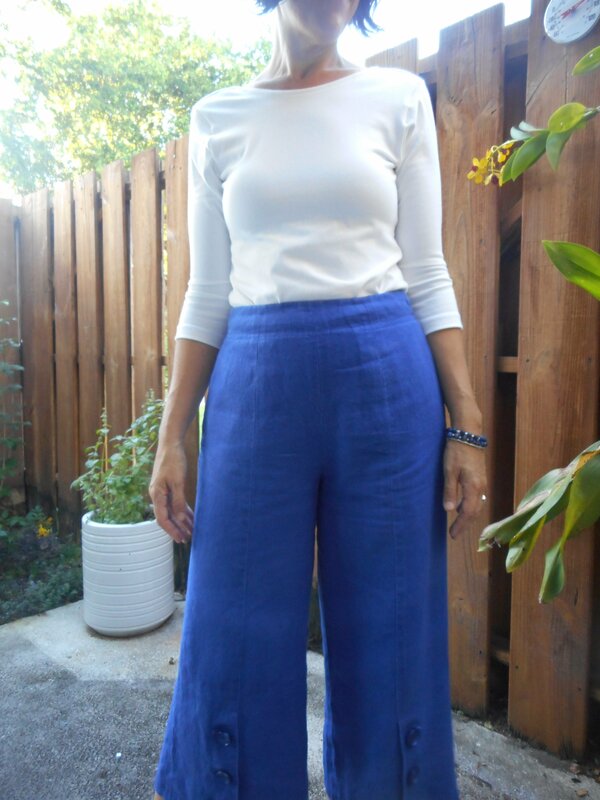 Slope Knit tank in apple, the Burda Ice Blue Twill Skirt and now these culottes. The Chanel Jacket is almost done, just needs to be assembled. 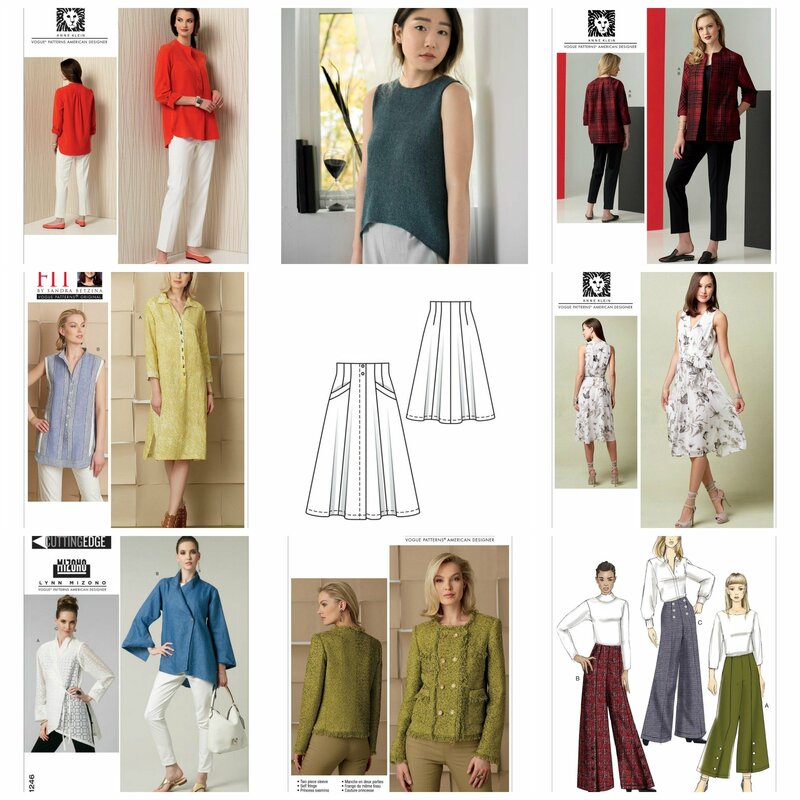 And the jackets are on the list for fall/winter sewing. The blouse is switching to a copy I’m making of a blouse I bought at Goodwill so that one is on the list too. When I first got the fabric I adored the bright blue but was a bit hesitant about making these up since it seemed soooo bright. But after they were done it looked perfect. I love this weight of linen. Nice and sturdy with a lovely smooth hand. 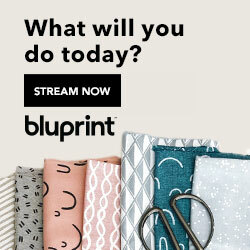 All the fabrics I’ve bought from Blackbird Fabrics have been so beautiful. 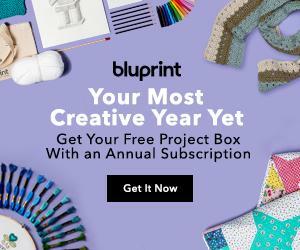 I’ve had the hardest time getting back into blogging this year. My increased work schedule and limited sewing time have made getting pictures and taking the time to post really tricky. As much as I love sharing my makes I’d rather spend my free time creating. But I finally have my sewing studio setup with a gorgeous painted yellow desk which has made working up in my bedroom/sewing space a joy. Just needs a bit more storage/shelving and some plants on my Juliet balcony. I’m working on Halloween Costumes and trying to finish up my turquoise Chanel Silk tweed jacket before my ASG Annual luncheon next weekend. My daughter and her best friend are both dressing up as Hermione Granger, I’m going as Professor Trelawny (the fortune teller played by Emma Thompson) since they are obsessed with Harry Potter. My son is going as DJ Yonder from Fortnite. I’m having fun with the glow in the dark paint on his outfit. I took 3 sets of pics today so more blog posts to follow soon. Happy Sewing! Previous Post Universal Orlando Vacation Makes! I don’t think the royal blue is too bright, it’s just beautiful! These fit you like a dream.